This is my second review from the LEGO SOLO: A Star Wars Story. Till this date, I haven't watched the movie yet and I got overwhelmed with these new sets. I think I had pretty much most of everything. So far, I had only done the 75209 Han Solo's Landspeeder and I aim to bring more Star Wars review soon. Meanwhile, please be rest assured that this review will not contain spoilers. This review is done comprehensively and there are about a total of 17 images in this layout. It was because this is one of the sets which I had bought overseas and got it back in a debox manner. I also like to highlight that I had completed building this set first before the photo taking commence. 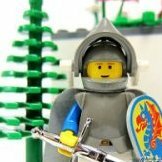 Hope you will like this simple reviewing coverage for our Eurobricks Community. 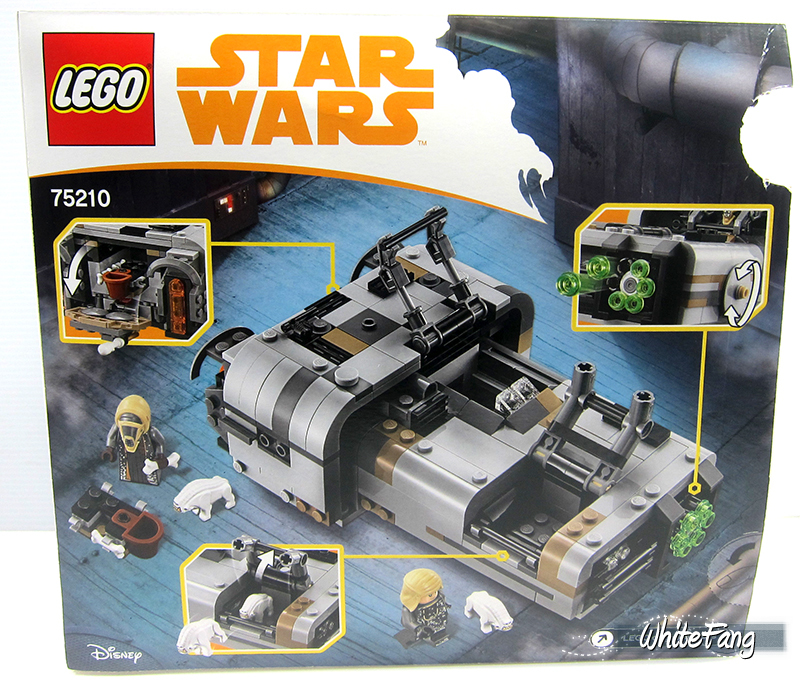 When I first saw this set, I was not very impressed with the blocky looking design but when I noticed Han Solo's Landspeeder is missing a 'companion'. I knew this will be the right action sequence fit for the speeder chase scene. On its own, it was not an outstanding design and it appear to be dull at first impression. However, after I had built it, the blocky shape suddenly make good sense and it was actually an accurate movie design reference too. Hence, this had increased its liking over the course of time and this set is proudly sit in front of my working table. 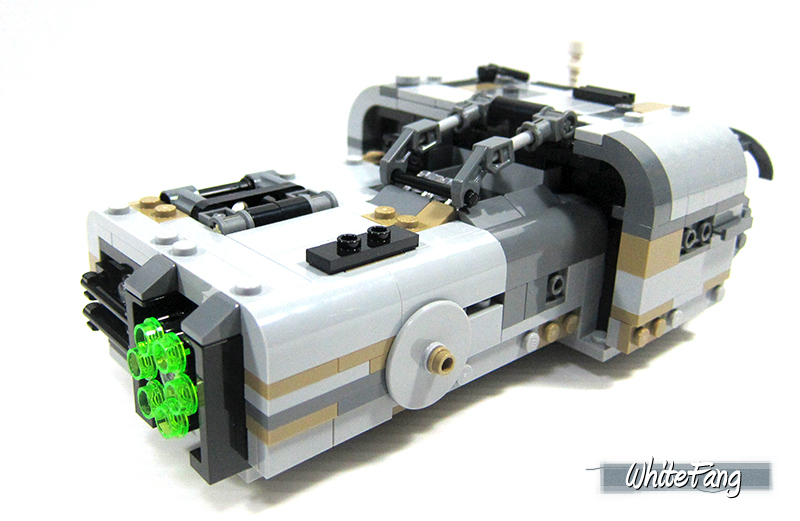 Allow me to point out the fine details of this blocky dull landspeeder. Lastly, we do not get to see any dreaded sticker sheet for this set. This set contain two new detailed minifgures namely Moloch and Rebolt. Both minifigures contain back printing while Rebolt bear an alternate facial expression and Moloch utilise the new skirt slope dress piece. The head is an unique mold which is designed to shape Moloch's flexible concertinaed cowl armour. To share abit more on their background, our unfriendly Moloch is extremely loyal to Lady Proxima - Leader of the White Worms. Moloch belong to Grindalid species and they are not a fan of sunlight. For our other guest, Rebolt. He also belong to the White Worms Gang and compete with other scumrats who are much smarter than himself. Moloch wield a short blaster and a sceptre, while Rebolt used a whip. The other two animal companions are the Corellian hounds from the planet Corellia. These hounds were used for attack and tracking. 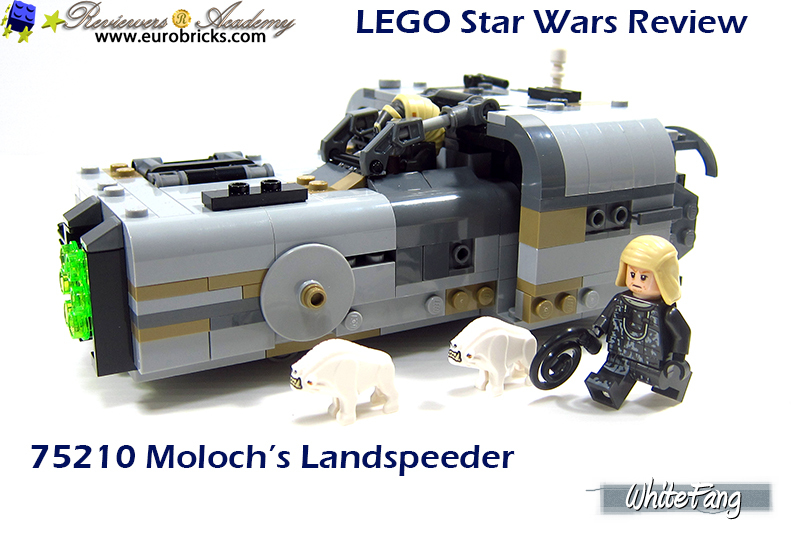 The completed Moloch's Landspeeder is a mixture of dark/medium grey and slight mix of sand brown bricks. It is a sturdy and firm built. This is also known as the "Trast Heavy Transports, A-A4B Truckspeeder". We can refer to this landspeeder as a truckspeeder based on the speeder classification. The armoured transport is only capable of sitting one passenger behind its protective roll bar. The armoured bulky looking transport has a powerful noisy engine that allow the speeder to propel forward but in actual fact, it has these lovely mini wheels to allow this truckspeeder to experience a hovering sensation. This truckspeeder has a couple of nice playability features such as the multi-stud shooter at the front of the truckspeeder. It can be activated from the side of the truckspeeder via the circular round piece. The rear end of the truckspeeder also contain a storage cabin area. It can keep a couple of feeding baskets for the hungry hounds and spare ammunition. 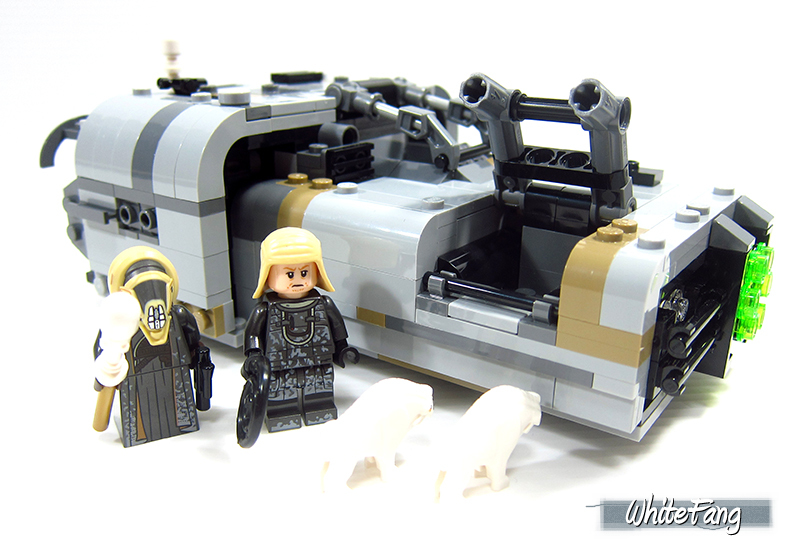 This truckspeeder also contain a forward cage which holds a pack of snarling Corellian hounds. How can we get them up to the cage? I owe you nothing, so get lost! To conclude, this is an average LEGO Star Wars set and I merely bought it for keeping Han Solo's landspeeder busy and for both of these unique minifigures which is available from this set, not forgetting the two hounds. The design itself is not exactly appealing and many might this landspeeder kind of oversize which is true for a shape of a landspeeder. In this case, this is largely considered as a truckspeeder similar to modern day 'trucks'. In addition, the price count and SRP for this set is ridiculously expensive and it will probably take a real fan of Star Wars SOLO to get it. If this set is not even on discount, I will probably give it a miss. I gave it a "3" based on my Review Score Card. What about yours? (Star Wars poll function is still broken and I exclude the poll in this review). Great review WhiteFang! 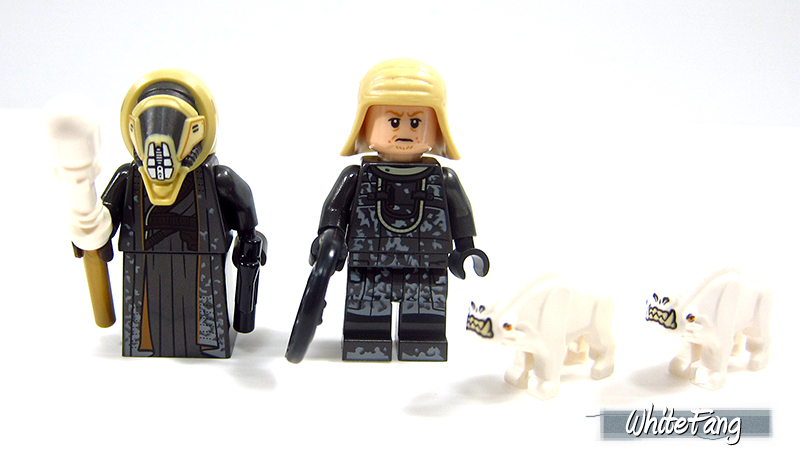 The minifig selection is nice, especially the Corellian hounds. But otherwise I agree with you, it is simply just a set to keep Han busy and also expensive too. 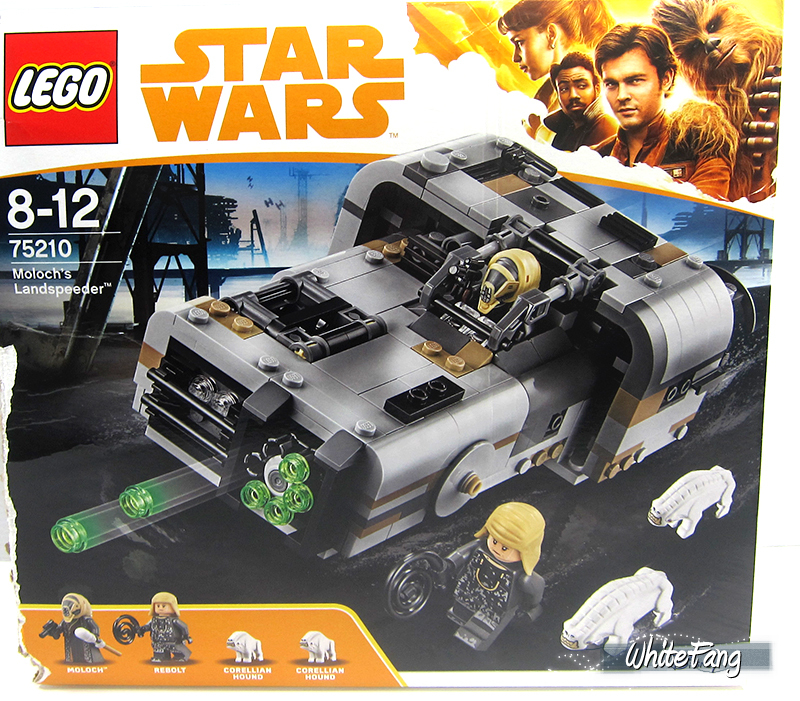 Maybe you could show the functions of the speeder in separate pictures such as the cockpit, storage too, and not just the back of the box? Thanks for your thoughts and your honest criticisms too. It will also help me to hone the review and to be honest, this was done in quite a rush manner especially I had this built for awhile. For the functions of the speeder, I had actually embedded these images within the text that summise the playability. I had extracted the short write up for your quick reference. Please let me know if is work for you and if you need additional images. Feel free to let me know. As for the patrol troopers, I was actually focusing more on the set and the patrol troopers like a camo. But yes, it do sounds better if they were clearer. Let me try and get it change. The armoured transport is only capable of sitting one passenger behind its protective roll bar. The armoured bulky looking transport has a powerful noisy engine that allow the speeder to propel forward but in actual﻿ fact, it has these lovely mini wheels to allow this truckspeeder to experience a hovering sensation. This truckspeeder has a couple of nice playability features such as the multi-stud shooter at the front of the truckspeeder. It can be activated from the side of the truckspeeder via the circular round piece. The rear end of the truckspeeder also contain a storage cabin area. It can keep a couple of feeding baskets for the hungry hounds and spare ammunition. 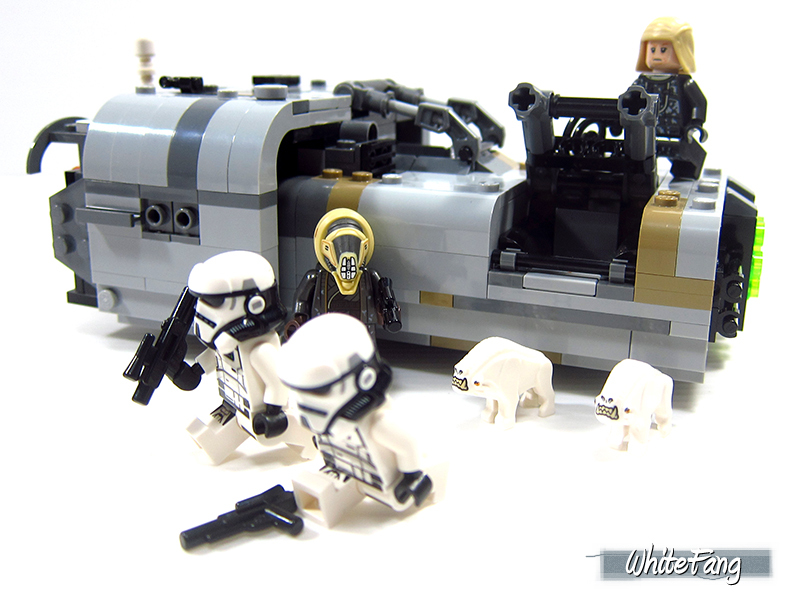 This truckspeeder also contain a forward cage which holds a pack of snarling Corellian hounds. Appreciate the review, it's always nice to read a proper review although I would have liked to have seen some attention devoted to the part selection. I do realize there aren't really any special parts but there are some decent ones that I found to be useful in other models, always like hearing about them. I do agree this set is pricey fortunately I got a 15% discount from a price match. 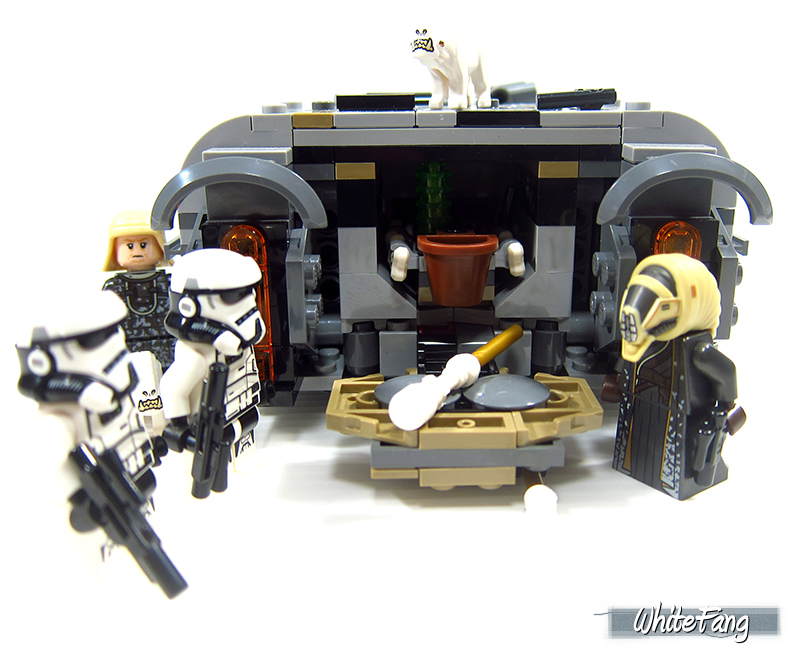 I actually like this set for some strange reason I mean it is basically a grey brick, I still enjoyed the build and like you said it gives Han's speeder a companion. I will probably end up getting a second one when it goes on sale just for the parts. Thanks Johnny1360. The omission of the interesting parts is because I had actually built this set quite sometimes back. I didn’t dismantle and re-build it again. In addition, I didn’t think there are particular interesting bricks to bring the attention other than the good mix of colour schema of grey and tan bricks. Those are useful for MOCs. I really need to re-examine the parts list again. What parts could you consider decent in your opnion? I understand, although it could have certainly benefited from more pictures. It is still a nice review though, the description part is certainly well done! I'd say the wheels underneath are very well hidden and do have a hover effect. However the stud shooters don't look nice and I would probably take off the studs for display, and the firing function is difficult to operate. It kinda resembles a giant grey brick to be honest. I actually would love to have this set, but the price is just ridiculous. It does have quite a few not so common parts, nothing really rare, still think it's a good parts set though if you can get it at a discount. Lots of slopes in both greys and a few tans, several 1x3 plates with off-set studs on top, semi rare dark grey technic connectors also quite a few studded technic beams, a couple dogbones. I think what I most like about this set is the build, kind of interesting how they achieve the plain brick shape and that it mostly has bigger more useful pieces instead of a boatload of tiny pieces like most sets seem to contain anymore. Hate to say it but I do like this set. I have updated the review with a few new images after re-taking it with better light conditions. Hope it looks better now. Added some playability photos in excess of the description text links. Hope is better for you? To be honest, I am not a very good MOCer and I am not a good parts identifier (in general). Apart from the given colour schema based on the assorted bricks, I thought it was really quite average parts pack for these colours. 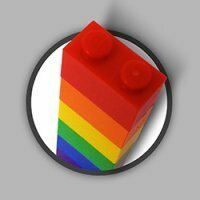 Good to hear an interesting take on the parts aspect. Yes it is! It looks much better now! Btw I posted my first RA review, do you care to be my teacher for that one? Yes same as all Star Wars sets, actually though this one is a decent value, at $39.99 it has almost 100 more parts than the cantina set for the same price or 30 parts less than the throne room set for $30 less at $69.99. Or about 8.6 cents a piece, even less with a discount, also it does have some weight to as well, really can't get a much better price per piece with Star Wars. I think what puts most people off is it's looks, but it is actually not a bad build experience. Makoy is on it. I will come in for your future reviews. There's the rub: At 50 Euros MSRP, how far down can this possibly this go? The best price I saw is around 37 Euros and by all means, that's still too much for a model that doesn't contain any noteworthy larger parts if, like me, you don't believe in the pointless wonky math of per part pricing. This thing simply isn't worth even 37 Euros. I'd argue it has more to do with the fact that the vehicle was barely in the movie, and that the characters were not memorable at all. Also, there is Han's speeder, which admittedly has a sleeker look but also includes the main characters - and it's less expensive. 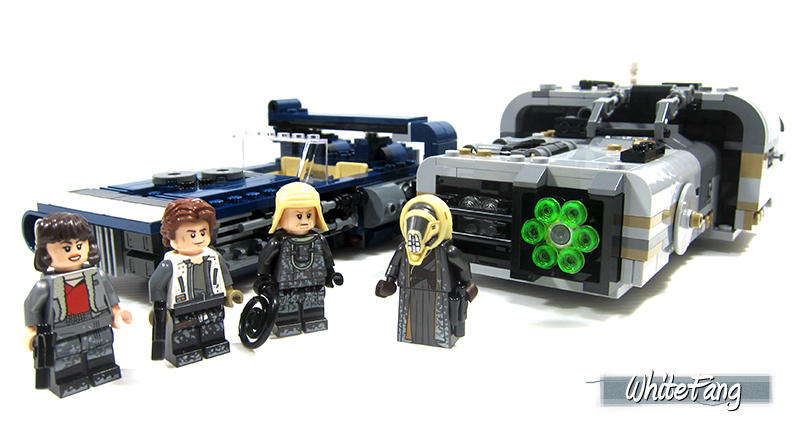 It seems Lego anticipated that the chase scene would be more important. The whole entry line-up of the Solo-theme is based on it: the patrol trooper pack, Han's speeder, and Moloch's speeder. I remember the designers saying they were happy that Disney did not cut the patrol troopers completely, and that they were very afraid their efforts could have been in vain. I actually haven't watch the movie and (please don't share the plot) this particular truckspeeder is supposedly Moloch's ride. Well, I have to watch the movie to cast my own impression and in this review, I had not referenced any actual movie aspect. From TLG's marketing perspective, it is successful to make me felt is worthy 'chase' scene, because that's how I relate the both sets together in terms of playability aspect. Well, that's how I will choose to group the play scenes without the knowledge of watching the movie. It kind of worries me that I might also feel a same dilute taste after watching in the future when I re-look at the sets again. I've not seen the movie yet either so that aspect is not something I can speak to, I guess it will be like that Heavy Assault Walker thing then, a set no one wants at any price. Still seems like it was a decent value though, that was the only reason I even bought it, as I have not really been buying very many Star Wars sets lately, just seem overpriced for what you get anymore, especially when like me, you don't really care about or collect minifigures. I'd argue it has more to do with the fact that the vehicle was barely in the movie, and that the characters were not memorable at all. I have to rebut that argument. Aside from the trailer I haven't seen the movie yet - wanted to go, just didn't get round to it, so now I'm waiting for the Blu-Ray. That being the case, I couldn't care less how it is used (or not) in the film itself. In fact I would say that the simplicity of the design is what attracts me. Sure, it's a flying brick, but an elegant flying brick. And of course the curved slopes have potential to be used for future custom builds and you get quite a few. I'm really just struggling with the outrageous price. At 20 or 25 Euros this would be almost a no-brainer. I haven't watched the movie either, but from everyone talking about the chase scene being so short, blink and I'll probably miss it! I'm curious to see what the chase scene would really turn out to be and why TLG put so much effort into recreating just this! I'm surprised that so few people here have seen the film, it was great. As for this set though I can't say that this set appeals to me, the utilitarian design of the speeder makes sense in-universe but its not very merchandise-able and on top of that the scenes on Correlia were the low point of the film. From TLG's marketing perspective, it is successful to make me felt is worthy 'chase' scene, because that's how I relate the both sets together in terms of playability aspect. Nice review, I really like the inclusion of some bits of other sets to put this one more in context. Moloch is a very interesting figure and the Corellian Hound are printed and they are quite useful in any OT MOC, I would say. I agree that the price is the main drawback, though (€49,99-€54,99 depending on the country in the EU). To me the chase scene is a good classic chase. I like the designs of the speeders involved in the chase. Moloch and patrol troopers have also very good designs. What I like more is the fact that the scene could be built from less expensive sets (specially assuming a discounted Moloch's speeder), and the sets could be reused in many other situations in the OT time.